Nothing against it, just seems counterproductive for a writer in my position. Writing a novel in a single month represents a considerable challenge for new and old writers alike. Tapping into the inspirational support of a host of like minded writers can be a great help, especially when you add the psychological pressure of a hard and fast timeline like December 1. It even helped me write my first long form fiction – a terrible screenplay, for the record – a decade ago. It was a fun experiment, but didn’t have a lasting effect. Now that I’ve got multiple novels under my belt and established a steady output of work dedicated a month to changing up a routine that already generates on average somewhere around 500 words per day. Why run the risk of burning out or pressuring myself to forgo the usual juggling act between writing, reviewing, and recording audiobooks? I’m on track to get my fourth or fifth audiobook out and the sequel to my Heroes Unleashed superhero novel submitted to Silver Empire by the end of the year. 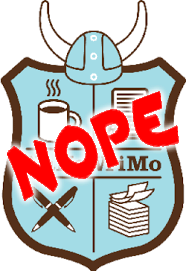 That’s not gimmicky and it doesn’t let me tap into the vast NaNoWriMo community of sprinters. On the other hand, my steady output should result in considerably more and better writing in the long run. So best of luck to all of you taking up the 1700 words per day gauntlet. Whatever your reasons and whatever your level, I wish you the best. You never know when the next month’s effort might bear fruit. My own experience took another decade to blossom into my nascent writing career. So keep your fingers warm, your powder dry, and your spirits up. I’m pulling for you.